"All Scripture is inspired of God and beneficial for teaching, for reproving, for setting things straight, for disciplining in righteousness," 2 Timothy 3 v 16 Was this in it's way a small prophecy ? The 2nd book of Timothy was written 65 C.E. However 1,2,3, John and Revelation were written much later. So we have two points, 1. The writings were not complete when Paul wrote that information. 2, The Bible had not been constructed so no idea would have been formed as to what the Bible would contain. Were there other writings ? Would they be considered as Scripture? It seems that Paul was inspired to write that "All scripture is inspired.... "
Who is the last king of the immense statue? Chapter 38 of Ezekiel: Who is Gog of Magog? If you've read the article entitled "What nations disappear at Armageddon? ", Regardless of whether you've shared or not , you pretend not to have read it. Obviously at the end of this article, if you consider it useful, you can go and take it back. Although that article had to deal with, inevitably, the identity of Gog of Magog, I found it necessary to resume the topic being discussed among many brothers also because the last change of understanding. We all know what the officer says understanding, is not it? Gog of Magog is a coalition of nations (not Satan) who organize to attack the people of God. In reference to the Millennial Kingdom of Christ, Gog of Magog "check" again to attack the "healthy part" of God's people. That is to say that these people, before being identified as Gog of Magog, would our surviving brothers Armageddon (or their offspring) but, they decide to rebel against Jehovah God by attacking the party faithful after a thousand years of peace and prosperity, of His people. We must honestly admit that this case has puzzled some 'everyone from the beginning because it really seems absurd that after a thousand years of peace and happiness, someone should organize to recreate the same terrible conditions existing in the pre-Armageddon world. Incidentally Revelation speaks not just "someone" but says it will be "as the sand of the sea"! Now, whatever interpretation we wanted to give the expression "the sand of the sea", it can not give some idea of the four cats disorganized. They seem to be really great people. With this in mind, let's discuss chapter 38 of Ezekiel to see if it can give us interesting details about this subject and if there is the possibility of having to revise some of our beliefs. Â Who is Gog of Magog? Â " After many days you will pay attention to you. In the final part of the years you will come to the village [of people] brought back from the sword, gathered out of many peoples, to the mountains of Israel, which have been continuously a devastated place; yes, [a country] which was taken from the peoples, [where] they have dwelt safely, all of them - Ezekiel 38: 8 Â Why Almighty God should say, to His own people, the people whom He considered worthy to survive Armageddon, "After many years you will pay attention"? The writing also says ... "Will you come to the village [of people] brought back from the sword, gathered out of many peoples" ... But if these are the inhabitants of the "new world", are not also the people who were "brought back from the sword, gathered out of many peoples"? So, speaking of this people the same verse adds, "have lived safely, everyone." Why is this distinction made if during the millennial reign there will be peace and security in every corner of the earth? During the Millennial Kingdom, well after Armageddon, they do not dwell all safe? Gog of Magog, perhaps, has not dwelt safe until then? Â And you will be forced to rise. You will be like a storm. You will be like clouds to cover the land, thou, and all thy bands, and many peoples with you " '- Ezekiel 38: 9 Â The verse says that will rise "to cover the land." Again we have to ask ... " What country?" During the Millennial Reign of Christ the world will still be divided into nations and countries? By the way, talking of "legions", we see a people organized and military invoice ; certainly not a bunch of people disorganized and improvised. Â The Sovereign Lord Jehovah has said: 'And it must occur in that day that things will go up in the heart, and certainly will devise a malicious design; and you say, "I shall go up against the land of open countryside. I will go to those who do not bother, that dwell safely, all dwelling without walls, and do not have even bar and doors "- Ezekiel 38:10, 11 Â "I shall go up against the land of open country". What is the land of the open country? There are other countries that do not qualify as open country, or helpless? And why any other "countries" should bother to defend himself during the Millennial Kingdom? "I will go to those who do not bother, that dwell safely, all dwelling without walls, and do not have even bar and doors." So these people, to make these considerations, not dwelled safe? He had a few walls? He had bars and doors? And why a country should have walls, bars and doors if there are no wars, nor weapons, nor thieves or other criminals? Why you should equip the bars and doors if everyone will love intensely, with sincere and loyal love as brothers under one Father? Â It will be to take great spoil and to do much prey, to turn your hand on inhabited places devastated again and on a people gathered from the nations, [a people] who accumulates wealth and property, [those] who dwell at the center of the earth - Ezekiel 38:12 Â Let us assume that at some point towards the end of the Millennial Kingdom, reborn greed, desire for conquest and pride after a thousand years of oblivion. Who would be the "little people gathered from the nations"? If Armageddon has destroyed all the nations of the world , all those who now find themselves living in the Millennial Kingdom and then survived, are they not all those "collected by the nations"? But the scripture says that there is a people who organize to prey upon another people: a people gathered from the nations. Â Therefore prophesy, son of man, and you must say to Gog: 'The Sovereign Lord Jehovah has said: "In that day, when my people Israel shall dwell safely, not [it] you know? - Ezekiel 38:14 Â This writing could leave to guess why Gog of Magog, until yesterday, was identified as Satan. Here Jehovah clearly identifies himself as the God of Israel ... but in the Millennial Kingdom should not be all "Israel"? In writing this Gog is clearly seen in opposition to Israel and then identify it as Satan seemed the sensible thing. Obviously it is "sensible" if we take for granted that at Armageddon are destroyed all the nations of the world, so all unbelievers and rebels. Simply stated: If the post-Armageddon world we live only deserving persons, the one who can get in opposition to God's people is Satan. Obviously this understanding seemed to coincide things but, as he was also treated in a more or less recent Tower Guard, created some really absurd paradoxes as we shall see later. Â And certainly you will be from your place, from the remotest parts of the north, you and many peoples with you, all mounted on horses, a great congregation, yes, a number of military forces - Ezekiel 38:15 Â "Several military forces"? Military improvise or made after a period of training? Previously, the verses 4:05, we read that these are all dressed "with perfect taste" and that "large shield and small shield". This leaves just understand that we are talking about a fully equipped and trained people for the war! Even assuming that these verses refer to the previous Gog Magog (what in life before Armageddon), describe this people, in verse 15, as a congregation of many military forces, suggests that they are not just newbies. So the logical question should be ... "Where you are trained, if they are all good of the Millennial Kingdom ? What weapons? For how long?" Â "And for sure will come up against My people Israel, like clouds to cover the land. It will happen in the final part of the days, and I will bring you against My land, that the nations may know Me when I shall be sanctified in you before their eyes, or Gog "- Ezekiel 38:16 Â Again Jehovah identifies His people, Israel, making a contrast Gog of Magog. It also understands that this distinction is not born at a time when some of the people decide to attack another, but that Israel has existed for a number of years and lives with these other peoples or nations. Not only Jehovah himself says he will be sanctified among the nations. Which countries? Maybe the same ones that Satan will mislead when it comes out of the abyss? - Revelation 20: 2, 3 Â Reading Ezekiel 38: 17-20 we find other interesting details. In particular, we can isolate the point where it is said that "the mountains will actually be killed and the steep ways will have to fall, and even every wall will fall to the ground." We might ask what to depict these mountains and who, until the end of the Millennial Kingdom, still possess defensive walls that will fall to the ground. Â " ' And certainly I will call against him in all my mountainous region a sword,' it is the utterance of the Sovereign Lord Jehovah. 'The sword of each is against his own brother - Ezekiel 38:21 Â And even then we should ask where they took swords and where they forged these peaceful brothers, inhabitants of the New World. Â And certainly I will enter into judgment with him with pestilence and with blood; and I will rain a downpour flood and hailstones, fire and brimstone upon him and upon his bands, and upon the many peoples that are with him. And certainly I magnify myself, and sanctify myself and make myself known before the eyes of many nations; and they will know that I am Jehovah '- Ezekiel 38:22, 23 Â The people taken from every nation at the end of the great tribulation, having seen, among other things, the destruction of any nation in opposition to Jehovah, they did not already know who is Jehovah? - Hebrews 8:11, 12 Reading just what it says, it does not seem that there is something that does not come back with our current understanding? In chapter 39 of Ezekiel you will find other interesting details. These details have forced the CD to revise the interpretation that Gog of Magog was Satan and is a fair reflection. How can, in fact, Satan, be given as food to the birds of prey? - Ezekiel 39: 4 How you can have a burial place on earth? - Ezekiel 39:11 Identify Gog of Magog as a "coalition of nations" is correct because you just simply read what is written without seeking hidden meanings - Ezekiel 38:15 However simply say that it is a coalition of nations opens up other questions, if you do not have the courage to review other fundamental interpretations. One of these is to understand that, while the wild beast, and all united in their fight against the Lamb will be destroyed at Armageddon, some nations will be allowed to continue to exist - Compare Daniel 7:11, 12 This means that after Armageddon , will remain something of the old world and there is a scriptural reason for this to happen. Â This makes it very easy to see how it is possible that during the Millennial Kingdom happen something like that. It makes us understand many other things such as when people will rush en mass, on their own initiative, to the mountain of Jehovah, "to the house of Jacob" - Isaiah 2: 2-4 It fully understand the meaning and order of the events described in 1 Corinthians 15:25 and many other things. Â From this brief examination we could see how it changes our visual horizon if only we strive to read the Scriptures without preconceptions. For understanding current attacking us are created forcer and really irreconcilable contradictions but allowing Scripture to flow freely will form a logical and coherent scenario. We can also see how, who has a prejudice, can not comprehend the obvious and we have seen many times in our preaching work. 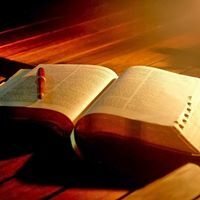 How many times we happened to listen to abstruse and philosophical arguments to say what the Scripture that says, maybe to prove doctrines such as the Trinity, hellfire, or things like that? Ahead of certain scriptural somersaults maybe we said ... "But how can you say such things! How can you not understand! Yet it is so clear!" The answer is often, prejudice and the inability to call into question their own beliefs. Obviously it is very easy to apply it to others. A little 'more difficult to apply it to ourselves. The possibility exists that we are becoming the modern Pharisees? And 'possible, pay for what we know, we have become the harder we get back on topic? Let's think about meditating on the history of Israel. Will the men of Sodom be resurrected? Yes....Watchtower 7/1879 page 8 No.....Watchtower 6/1/52 page 338 Yes....Watchtower 8/1/65, page 479 No.....Watchtower 6/1/88, page 31 Yes...Live Forever (old Ed.) page 179 No....Live Forever (new Ed.) page 179 Yes...Insight, vol. 2., page 985 No...Revelation book, page 273. "God is guarding all the bones of that one." "God is guarding all the bones of that one; not one of them has been broken." (Ps. 34:20) As prophesied, the Messiah would be pierced, but his bones would not be broken. Inhabitants of Jerusalem would “look to the One whom they pierced through,” says Zechariah 12:10. Confirming these points, the apostle John wrote: “One of the soldiers jabbed his [Jesus’] side with a spear, and immediately blood and water came out. And he that has seen it [John] has borne witness, and his witness is true . . . These things took place in order for the scripture to be fulfilled: ‘Not a bone of his will be crushed.’ And, again, a different scripture says: ‘They will look to the One whom they pierced.’”—John 19:33-37. Why has the Watchtower missed the date of Armageddon every time it predicted it? Why did Armageddon fail to come in 1975 as the Watchtower predicted? In Kingdom Ministry, May 1974, the world’s end was said to be ‘so very near’ that JWs were commended who sold ‘their homes and property’ to devote themselves to full-time service in ‘the short time remaining before the wicked world’s end’. (p 3) In 1975 they said, ‘The fulfillment . . . is immediately ahead of us.’ (Man’s Salvation out of World Distress at Hand, p 312) In 1975 they said, ‘Very short must be the time that remains . . .’.’ (Ibid p 349) 1975 came and went, thus discouraging and embarrassing the WT and JWs. Yet from 1976 to today the WT still says Armageddon and the end of the world is very near. Conclusion: If the WT has been wrong on every prediction, how can anybody trust it? Question: Why has the WT missed the date of Armageddon every time it predicted it? The WT has not only lied to people they call ‘God’s enemies’, but they have lied to their own people. After reading these WT false prophecies, and its own admission that it lied, how can the WT be trusted any more? Has the Watchtower ever lied, covered up, or changed doctrines and dates? If God speaks through the WT, then He must change His mind very often. Consider the following changes in dates, prophecies and doctrines: 1. They changed the beginning of the ‘time of the end’ from 1799 to 1914; 2. They changed the date of the second coming of Christ from 1874 to 1914; 3. They changed the nature of Christ’s return from earthly visible to heavenly and invisible; 4. They changed the end of the 6000 years of creation from 1872 to 1975; 5. They changed vaccination from being forbidden to being permitted; 6. They changed the ‘Faithful and wise servant’ from C T Russell to the WT Society; 7. They changed from allowing worship of Jesus to forbidding it; 8. They changed their view of Israel from literal national to spiritual of all believers. Why so many changes? Answer: Since the predicted events didn’t happen, they covered up their false prophecies to hide the fact that God really hadn’t spoken through the Watchtower Society. Do their false prophecies support their claim of spiritual enlightenment and guidance? What a joke! The WT Society has mislead millions of people in claiming it is God’s sole channel of communication on earth today. Rutherford believed that God’s Holy Spirit had ceased to function as his teacher, and had been replaced by angels who taught him in his mind. (WT, Sept 1,1930,p.263 & Feb 1,1935,p.41) Today the leaders claim that both the Holy Spirit, and angels communicate information to them. (WT, March 1, 1972, p.155 and Aug 1, 1987, p.19) Conclusion: False prophecies lead us to conclude that the Watchtower is receiving its information from demons, rather than from God. In 1889, the WT said " we present﻿ PROOFS that the setting up of the kingdom of God has already begun...and that 'the battle of the great day of God almighty' (Revelation16:14),which will end in AD1914 with the complete overthrow of the earth's present rulership, is already commenced.". The watchtower presented "proofs". These "proofs" were wrong, so what credibility do they have to "proclaim" anything?